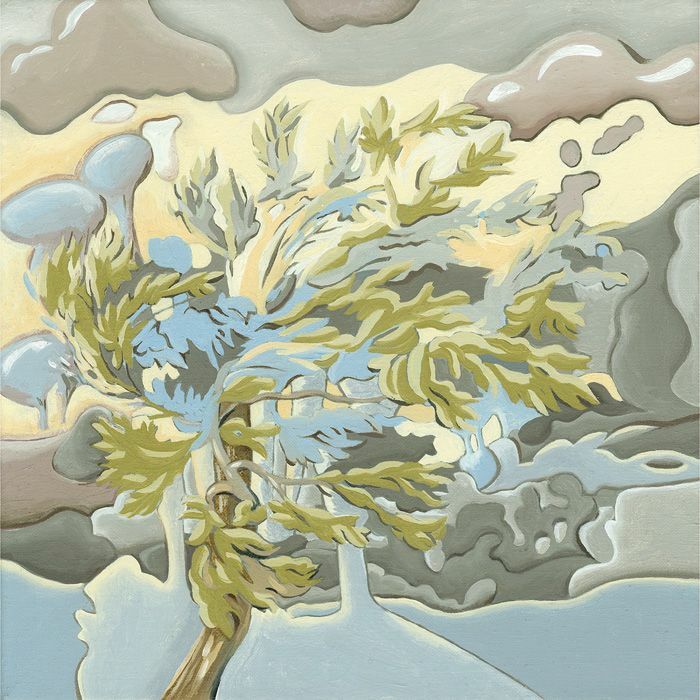 Joanne Ritson repeats the motif of a windy tree in a landscape, allowing the palette to dictate the mood. The earth is smothered in nursery colours. 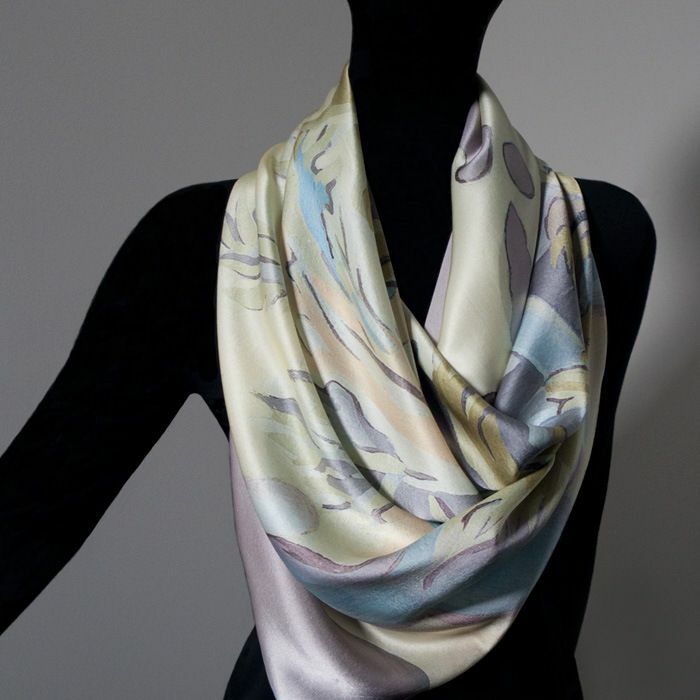 This 97cm square scarf is one of a limited edition of 25. No more than 25 of these designs will ever exist. The painting Terra 02 has been reproduced on pure silk with hand rolled edges. Each scarf is wrapped in unbuffered tissue to preserve the silk and boxed in a buckram covered black archive box. The 26cm square box is debossed with the artist’s name. The card enclosed with the scarf includes the artist’s story, image of the original painting, signature and edition number of the scarf.